Welcome to Crypto Capitalist, the best place to calculate and tack the value of your cryptocurrency with ease. Thanks to the advent of modern technology and the internet, cryptocurrencies have become a global phenomenon, known to millions around the world. A fun fact about cryptocurrencies that isn't well known, is that they were actually discovered by mistake. Satoshi Nakamoto, the inventor of Bitcoin, the first and most widely known digital currency, actually wanted to invent an electronic cash system, instead of an online currency. 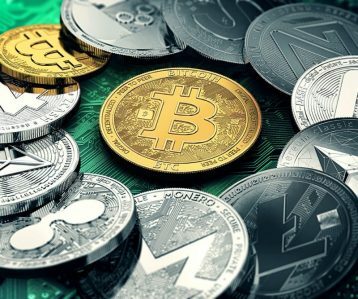 Cryptocurrencies are essentially the same as your virtual balance in your bank account and could be described as digital money, however they do not have a real value like U.S. dollars or British pounds. They are backed by their respective networks and they are also restricted entries in a database. Regardless of what digital currency you're going to be investing in, eventually you're going to want to know how much your cryptocoins will be worth when converted to the currency of your choice. 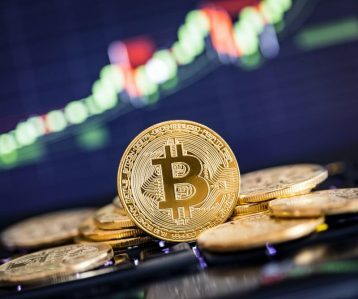 The best way to find out about this information is by analysing price and cryptocurrency charts, which tell you everything you need to know about the investment in your online currency of choice and whether you might make a profit or not. From a beginner's standpoint, looking at cryptocurrency charts for the first time and analysing the terminology involved may seem very daunting, but don't worry, as this isn't actually the case. They might also be very confusing to look at, but they're actually very easy to read and simple to follow. Investing in a cryptocurrency means to have a share in the venture, regardless of which currency you have invested in and it's one of the most popular investment strategies at the moment. Virtual currencies like Bitcoin and Ethereum are the ones which attract heavy cryptocurrency investment, such is the promise held in both. They promise to be the first had and non-manipulatable money for the whole world and those who advocate it, see it as a potential substitute for Euros, Dollars and pounds in the future. Buying and investing in cryptocurrencies is a bet, but it's one that could pay off in the future, if they do become the dominant form of money in the world. Before you begin trading with cryptocurrency, you have to choose both a cryptocurrency wallet and an exchange to trade on. There are a few things to know before trading cryptocurrency though. First is that beginners might prefer to trade cryptocurrency stocks on the stock market, as opposed to trading directly. However, this comes at a premium rate which isn't ideal. Beginners should also start by choosing a company with a good reputation that offers and exchange and wallet, as well as starting by trading prominent coins. Unlike the regular stock exchange, cryptocurrency can be traded at any time and it's a 24-hour market. It's also very important to note that the cryptocurrency market is exceptionally volatile and that in one moment you can make a fortune, but you can lose it in another. One tip is that by trading only the top coins by market cap, then the chances of losing everything overnight are much slimmer. 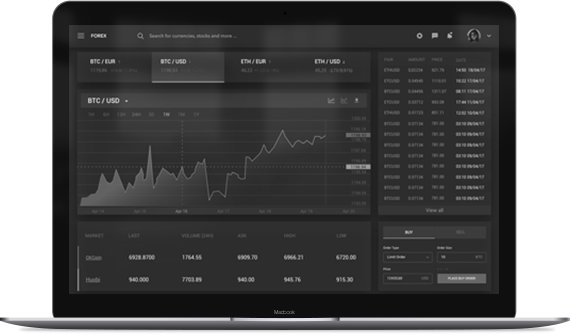 Cryptocurrency exchanges, alternatively known as digital currency exchanges, are enterprises that allow users to trade cryptocurrencies or online currencies for other assets, like regular money or different digital currencies. They work off the markets and can charge commissions for their services or charge a small fee as a matching platform for the work that they do. There are four different types of cryptocurrency exchange, including traditional ones, cryptocurrency brokers, direct trading platforms and cryptocurrency funds. In almost every case, a person will want to use an exchange or a broker. You'll only need to use a direct trading platform when your options are limited. They can work either as land-based businesses, exchanging digital currencies and traditional payment methods, but they can also work online too. 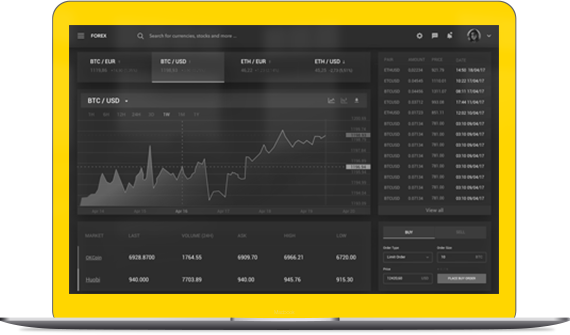 The ones online automatically exchange electronically transferred money and digital currencies. A cryptocurrency wallet is a software program that stores private and public keys and interacts with various blockchain to enable users to send and receive digital currency and monitor their balance. 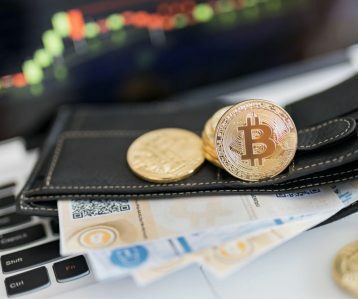 Millions of people use cryptocurrency wallets, but unlike traditional ones that you carry around with you, a digital wallet doesn't store currency. Actually, cryptocurrency doesn't get stored in any specific location or actually exist in physical form. The only thing that exists are records of transactions stored on the blockchain. A cryptocurrency wallet is a place where you store encrypted passwords that represent coins. A cryptocurrency exchange is like a stock exchange in a foreign airport. Just like if you want to trade stocks, you need a bank account and access to the stock exchange, it is the same deal with cryptocurrency. A coin calculator works in the same way as any currency converting tool would do. All you have to do is type in the value of your cryptocurrency and the calculator will work out its current market value in the currency of your choice, whether that's in Euros, Dollars or Pounds. They're very simple to understand and we have one here on Crypto Capitalist for you to use.